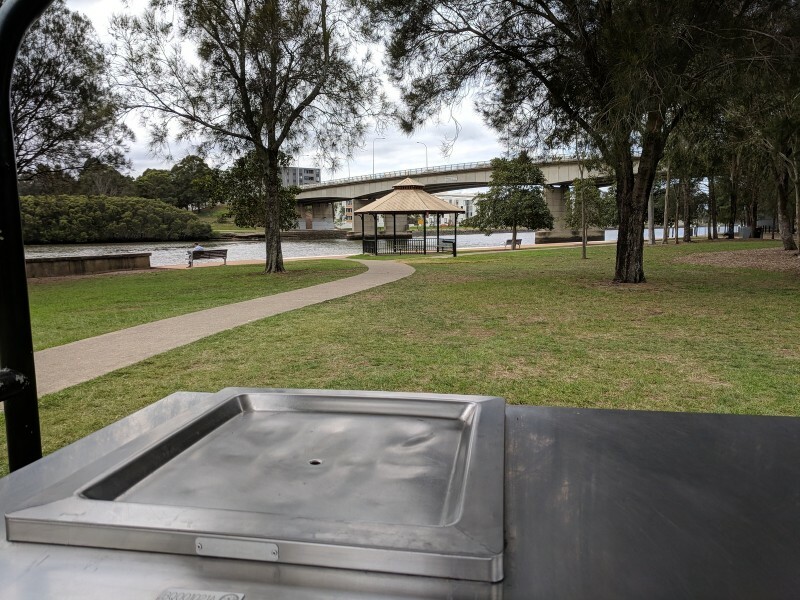 Silverwater Park is on the south side of Parramatta River, next to Silverwater Bridge. 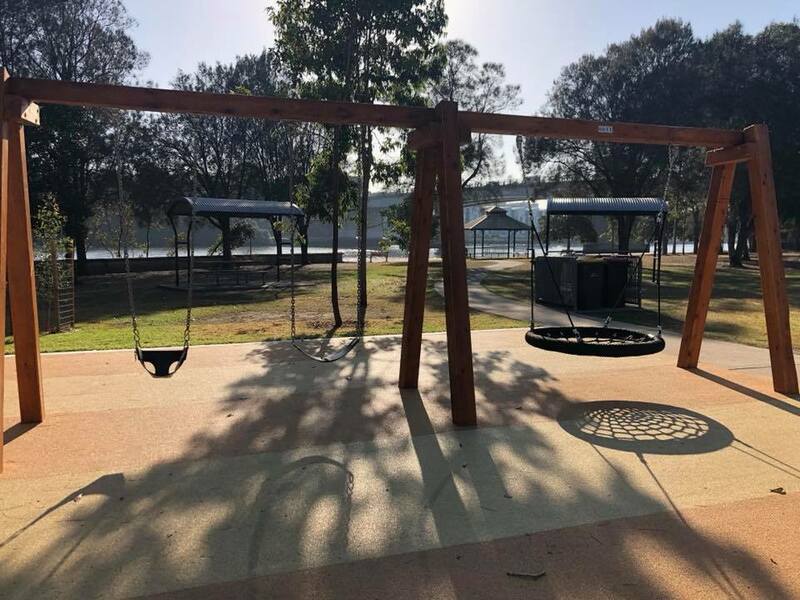 There is a large grassy area, a pathway all around it, small playground, toilets, picnic tables, BBQs and bench seats all with a view over the river. 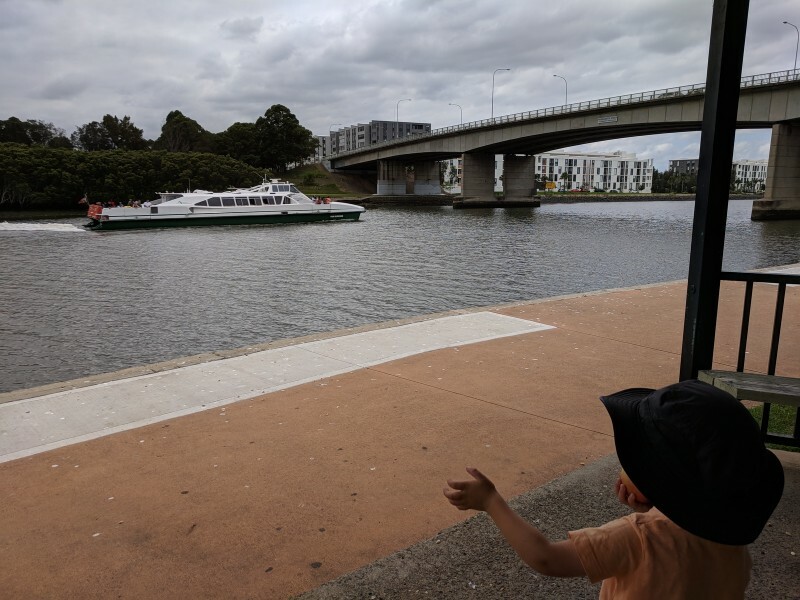 Plus, it is a great spot to watch the Parramatta Rivercat go by. 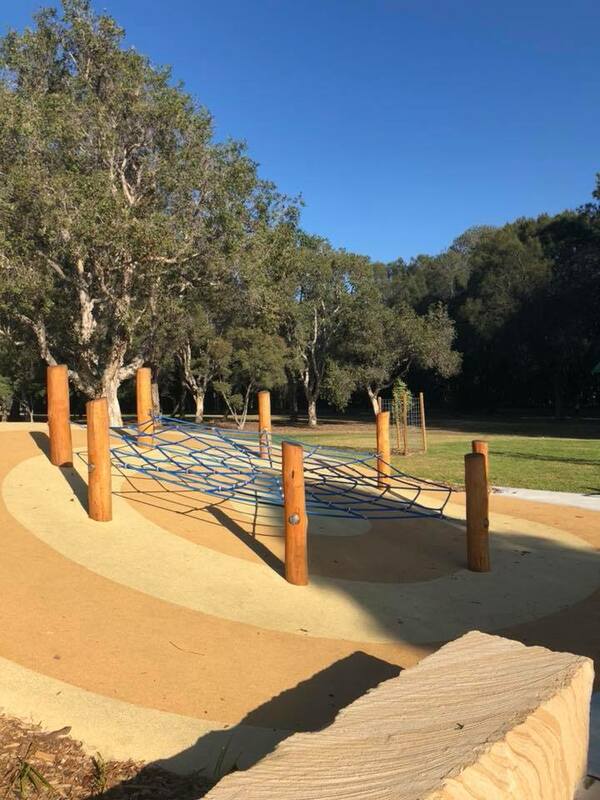 The playground was recently upgraded, opening in early April 2018. There is still some fencing up but just around the grassed area so the turf can settle in. 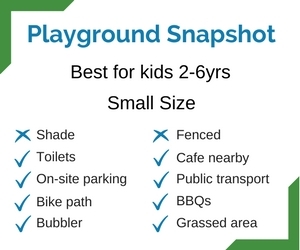 While there are lots of trees around, there isn’t much shade yet over the new playground so remember the hats and sunscreen. And the mozzies can be bad here in the afternoon so bring the aeroguard! 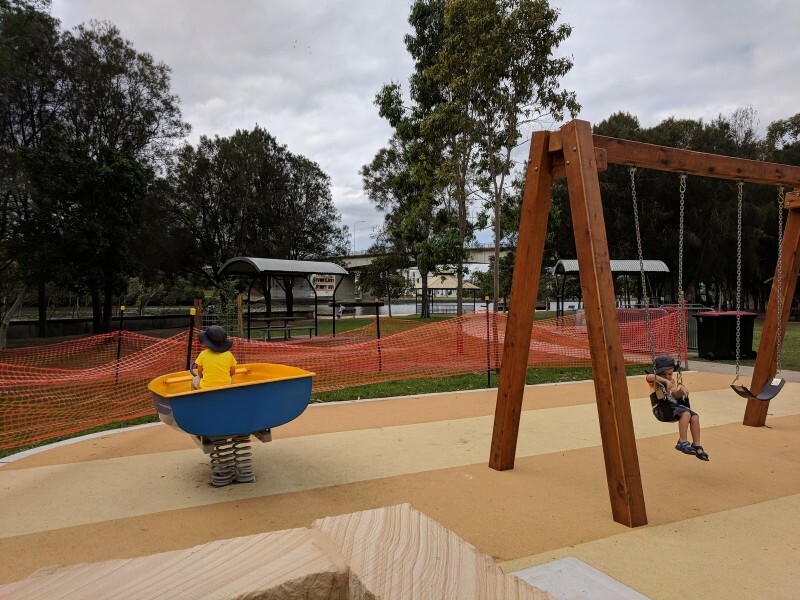 Please keep in mind that there is no fencing along some of the foreshore, closer towards Silverwater Bridge. 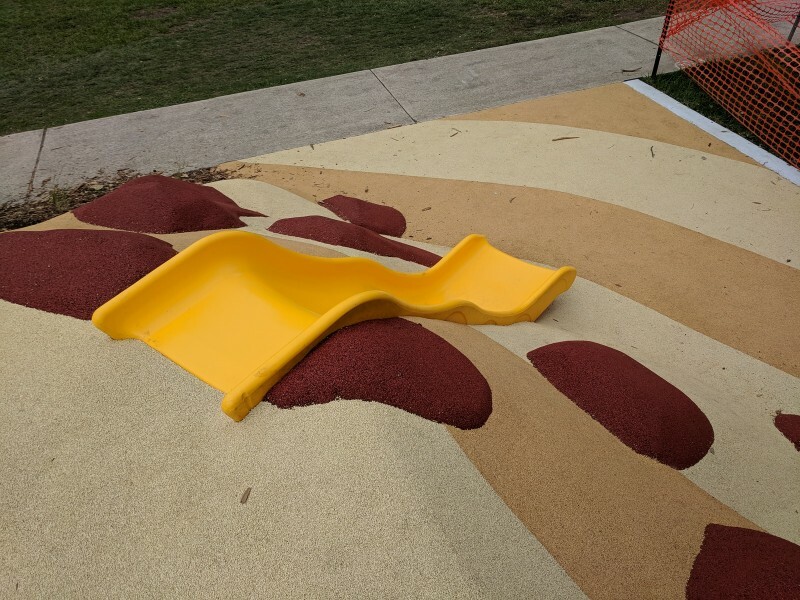 Having said that you should feel quite comfortable as the area is rather large and the play equipment is set back from the water. There are shaded picnic tables nearby and a dual BBQ. At the water’s edge is a lovely large gazebo. 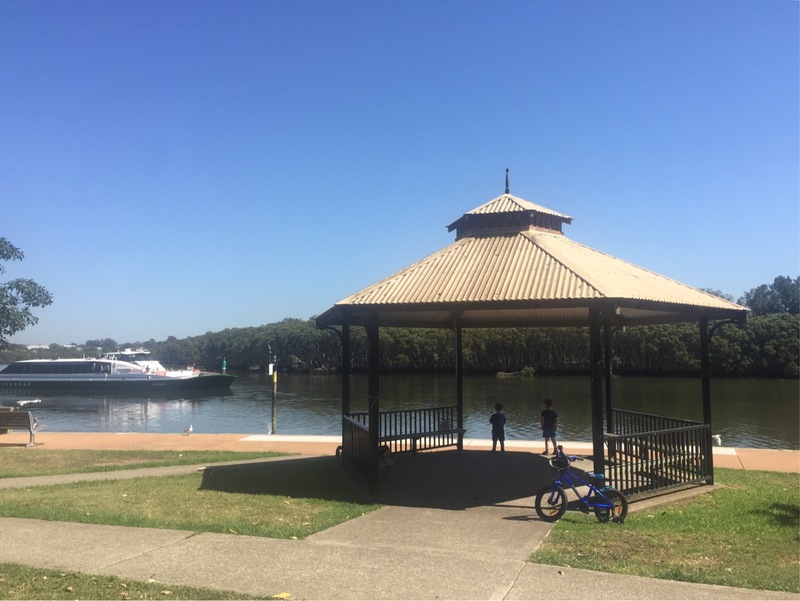 The gazebo is the perfect place to stop for a rest, with a nice breeze coming off the river. 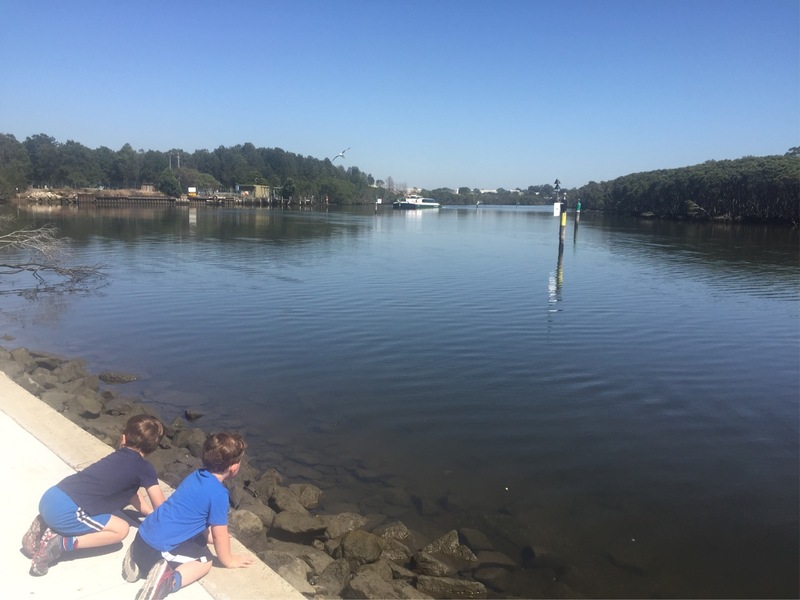 The views up and down the Parramatta River, with the Silverwater bridge, the mangroves, the ferries going past and cyclists riding by, are really nice. My children were in awe watching the Rivercat go passed. And the ferry passengers delighted all the kids that had gathered, by waving to them. We headed over to the Clyde Street entrance to see if we would come in that way another time. There is a large factory (Gunlake Concrete Silverwater plant) and it was very noisy up close. Don’t be put off by it though, because you can barely hear it in the rest of the park area. Next to the factory is Dooleys Waterview Club – nice place, yummy food (review coming soon). 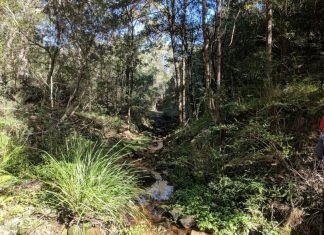 The pathway in and around the park continues up and down the Parramatta River. Great for bikes, scooters, running and walking. You will even find some Reddy Bikes (bikes for adults) available to use. You could ride or walk to other places of interest along the river. 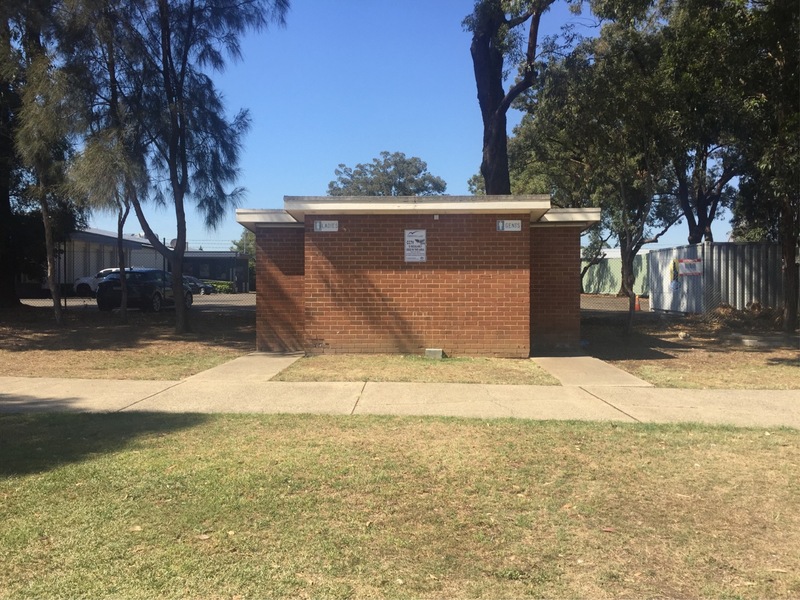 The toilet block is at the back of Silverwater Park, near Dooley’s Waterview Club. 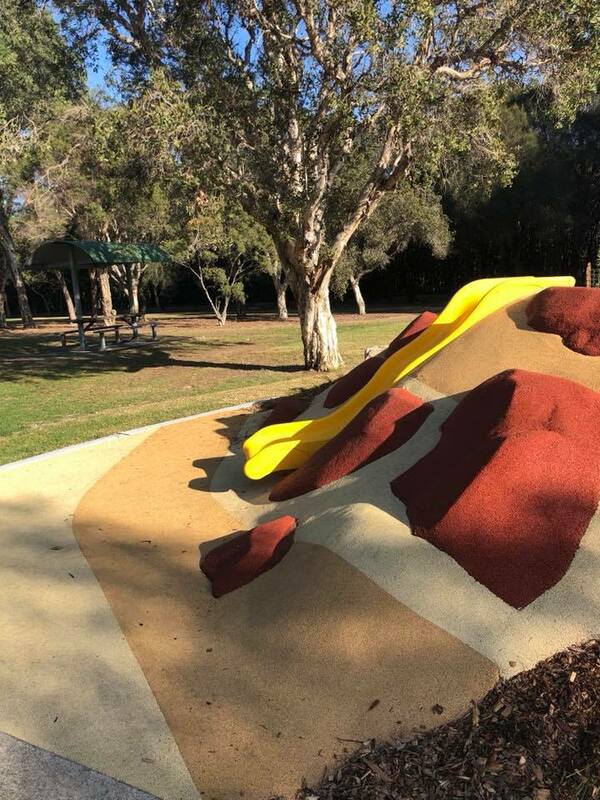 There are two entries to Silverwater Park. 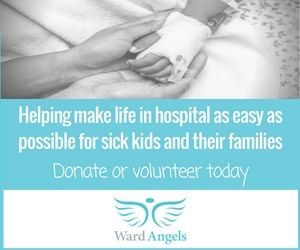 We think the most convenient one is the one with the on-site parking. 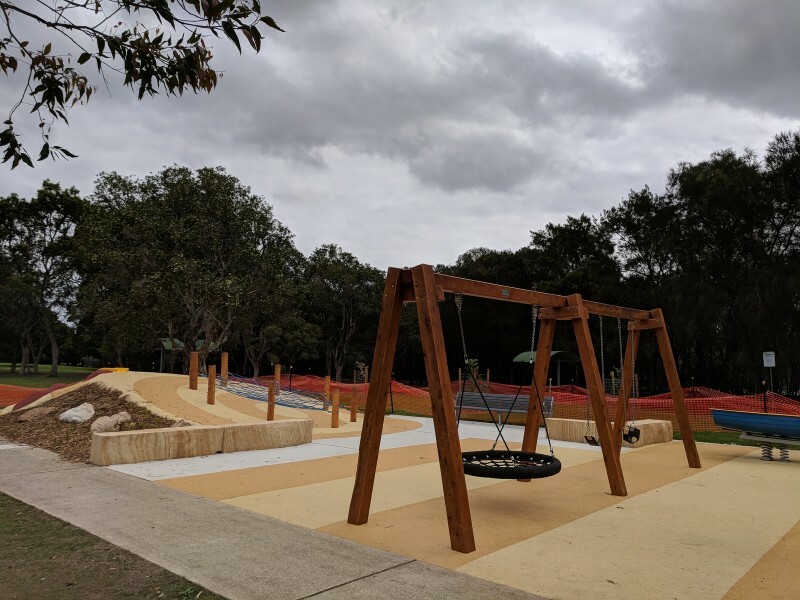 When heading south on Silverwater Road you turn left coming off the bridge onto Clyde Road and loop under the bridge to arrive at Silverwater Park. 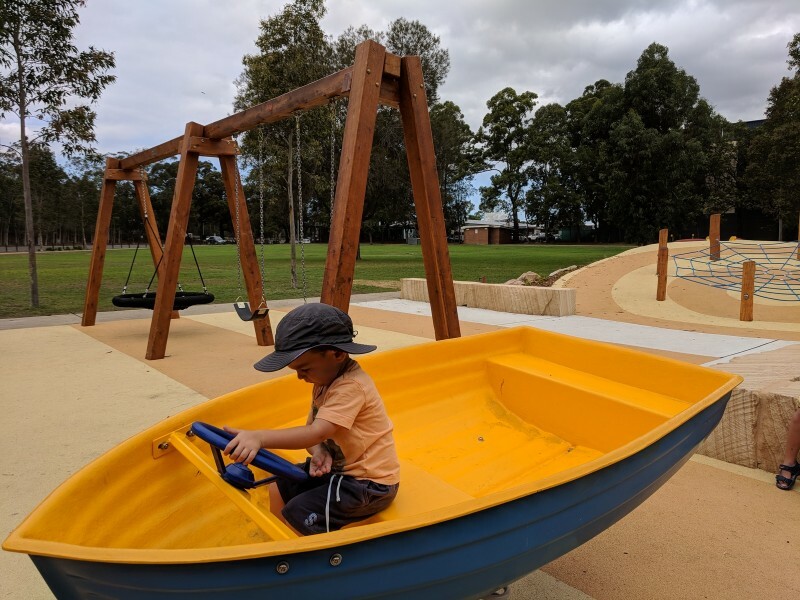 There is a large car park at the edge of the park with heaps of car spots available when we have visited on a weekday. 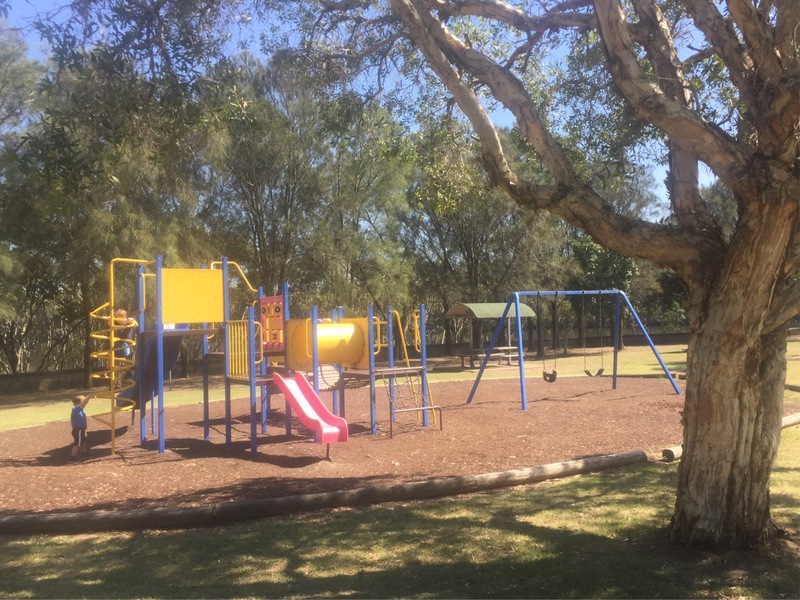 Alternatively, you can access Silverwater Park from its street address of 2 Clyde Street, Silverwater. There is limited street parking at this entrance though. 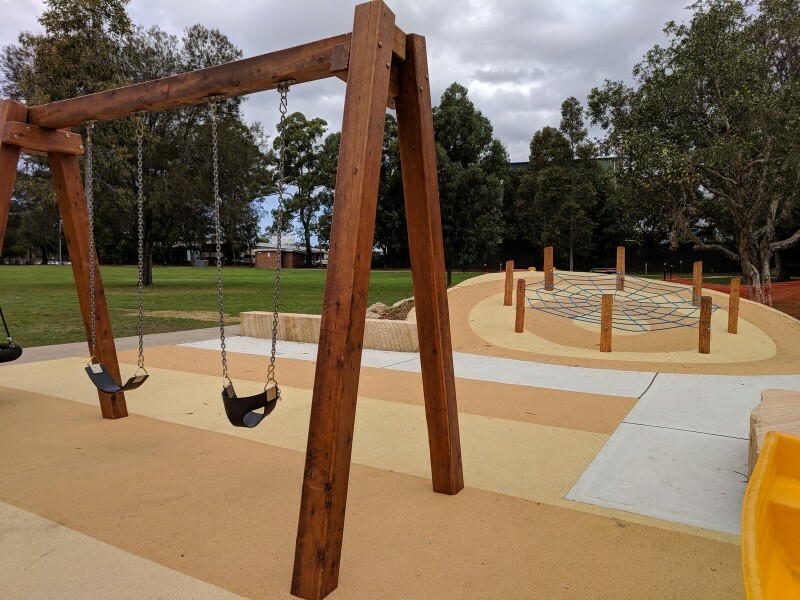 You can also get to the park via bus (525) or walking from Rydalmere wharf, though it is about a 1.5km walk.